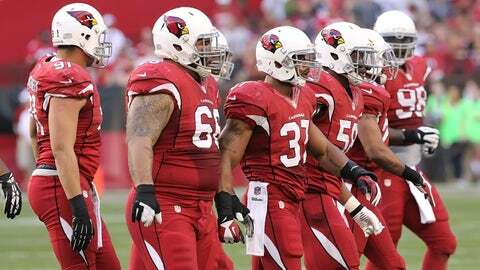 An improving defense that was the NFL's toughest to run against gives the Cardinals a solid starting point for 2014. TEMPE, Ariz. — First-year general manager Steve Keim and first-year coach Bruce Arians haven’t had much time to bask in the satisfaction of a successful transition season that saw the Cardinals post just their second 10-win season since moving to the Phoenix area in 1988. Such is life in the NFL. Success is difficult to maintain and momentum must start anew each season. "I’m very proud of the 2013 Cardinals. The shame is that a lot of them won’t be back to be the 2014 Cardinals. That’s just the NFL," Arians said Monday after the team cleared out its lockers. "We’ll do everything we can as an organization to keep the pieces we think are extremely important. Steve’s already reached out to a number of guys’ agents, and we’ll see how it goes. We start building the 2014 Cardinals today." As with most NFL teams, the Cardinals face myriad offseason issues, whether it’s impending free agents, contract issues or defections. Here’s a quick look at a few of those as well as some reasons for optimism and concern. In the coming weeks, FOX Sports Arizona will break down the roster in more depth with a position-by-position analysis of potential losses, strengths and needs. A left tackle: Bradley Sowell did as much as he could, taking over the starting role after the Cardinals gave up on Levi Brown and traded him to Pittsburgh. But Sowell is not starting material at one of the offense’s two most important positions. He would fit in well as a rotational guy. The Cards could either draft his replacement to play alongside left guard Jonathan Cooper or they could target a big-name free agent like Kansas City’s Branden Albert, who made $9.828 million this season. Injured players returning: Injuries are a yearly staple of the NFL, but the Cards had some big ones, losing top pick Jonathan Cooper in the preseason, starting outside linebackers Sam Acho and Lorenzo Alexander in Week 3 and starting free safety/nickel corner Tyrann Mathieu on Dec. 8. Getting those players back in the fold should help, although Mathieu’s return will likely be delayed. Palmer’s improvement: Palmer threw 14 interceptions in the first eight games and finished with a career-high 22, which tied Joe Flacco for the second-highest total in the NFL this season. But he cut the pace to one per game over the second half of the season and should be able to make better decisions now that he knows the offense and is on the same page with his receivers. He threw for more than 4,000 yards, showed the ability to put early mistakes behind him and when given time, he made some big plays, helping the passing offense finish in the top half of the NFL (13th) in yards per game (250.1). Defense: The Cardinals finished the season as the top-ranked run defense in the NFL and the league’s sixth-ranked unit overall, despite playing in the NFL’s toughest division. This is an elite unit — one that can win games. Arians’ coaching: From his bigger-staffs-equal-smaller-classrooms approach to the dual practices to the relationship Arians built with his players, the Cardinals first-year coach made it clear that his interim success in Indianapolis was no fluke. The wisdom of years has taught Arians how to straddle the lines between disciplinarian, coach and friend, but it clearly matters to him what his players think of him. When it was noted that players view him as a father figure, here’s what he said: "I don’t like that. I’m the cool uncle you want to have a drink with." Defections: It’s impossible to say who will and won’t be back, but it’s a certainty that some key players won’t be return — and perhaps some assistant coaches as well, including defensive coordinator Todd Bowles, who could get some looks from teams seeking a head coach. Leadership and chemistry are among the factors the front office will weigh when determining who returns, but money is also a factor, and some players could price themselves out of the Cardinals’ ballpark. 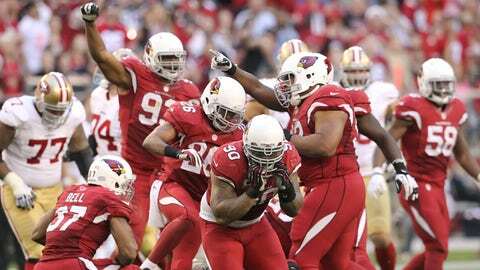 A tougher AFC slate: The Cardinals took advantage of a weak AFC South to go 4-0 in their nonconference games. It’s impossible to predict how a division will fare from season to season, but the Cardinals will face the AFC West next year. That division is the only one in football to put three teams in the postseason: Denver (13-3), Kansas City (11-5) and San Diego (9-7). Special teams: The Cardinals’ coverage was good most of the year, even if it had a breakdown on the key play in Sunday’s loss. Punter Dave Zastudil and Justin Bethel were spectacular. But Jay Feely missed six of 36 field goal attempts to finish 21st in the league in percentage (83.3), and Arians wasn’t always happy with his kickoff placement. Even worse, the Cardinals got almost nothing from their return games, despite the presence of Patrick Peterson. This used to be a weapon under former special teams coach Kevin Spencer. It’s a liability now. Larry Fitzgerald’s contract: Fitzgerald’s cap hit next season is $18 million. Is he willing to restructure that to keep other players in the fold and sign other free agents? 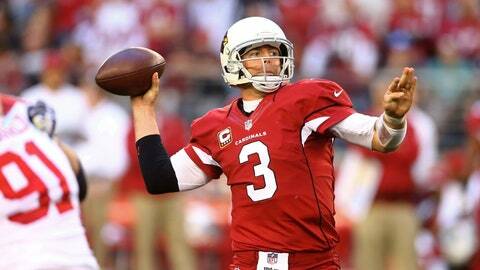 Will the Cardinals ask him to take a pay cut, a move Fitzgerald is unlikely to make? Will the Cardinals do the unthinkable and trade him if they can’t reach an agreement? This will be one of the team’s biggest offseason storylines. ILB Karlos Dansby: He played at a Pro Bowl level with 114 solo tackles, 6.5 sacks and four interceptions, but if his contract demands get too high and another team is willing to pay those demands, Dansby’s return could turn out to be a one-season cameo. K Jay Feely: Feely had a decent season, but he ended on a sour note with two misses against San Francisco that brought his total to six misses. Arians wasn’t always pleased with Feely’s kickoffs and brought in Dan Carpenter to compete with him in training camp. He’ll be 38 when next season begins. It could be time to move on. RB Rashard Mendenhall: Mendenhall was an Arians guy and ran much better when he was healthy in the second half of the season. But he didn’t distinguish himself with 687 yards on 217 carries (3.2 average), and the Cards have two young backs in Andre Ellington and Stepfan Taylor itching for bigger roles. WR Andre Roberts: Roberts is still capable of impacting games, but he didn’t get many opportunities this season (43 catches, 471 yards) in Arians’ multiple-tight end sets. Tight end Rob Housler’s presence in the slot also makes it difficult for Roberts to earn targets. The Cardinals need a reliable third receiver, but Roberts could be too pricey to keep around. The Cardinals’ opponents for 2014 are set. We also know the Cardinals have the 20th pick in the 2014 NFL Draft. Here are next season’s opponents. Dates have not been determined.